The Pit Bullmastiff is a hybrid of the American Pit Bull Terrier and the Bullmastiff. It’s a large dog that weighs up to 150 pounds. They are very brave and confident dogs that are as lovable as they are friendly. The Pit Bullmastiff is an excellent family watchdog that must be properly socialized and trained. It’s also a very good-looking dog that with coats that come in many colors, including fawn, cream, brown, black, red, brindle, or white. The Pit Bullmastiff is great for any family. What Price are Pit Bullmastiff Puppies? A Pit Bullmastiff puppy can cost anywhere between $350 to $2000. There are other expenses such as blood tests, deworming, neutering, shots, and dog equipment that are still not included in this price tag. 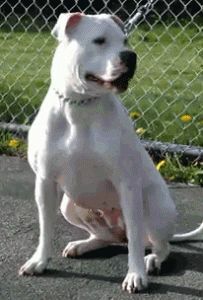 How to Find Reputable Pit Bullmastiff Breeders? 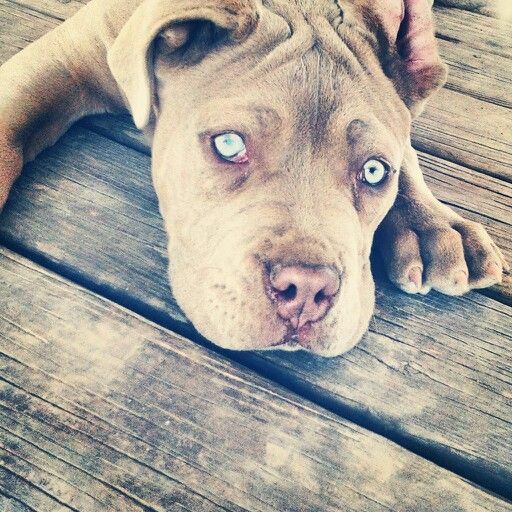 The best way to find a reputable Pit Bullmastiff breeder is to get a referral. Ask your veterinarian whether they know reputable breeders in your area, or you can ask your friends and family who have healthy and purebred dogs. You can also get in touch with your local breed clubs or attend professional dog shows. You can even talk with spectators and participants alike to check if they know reputable breeders in the area. The internet is also a good source of information. Just make sure to go to reputable sites to look for Pit Bullmastiff breeders. The Pit Bullmastiff is an excellent guard dog that can be aloof to strangers. It requires dominance and assertiveness on the dog owner’s part so that you can encourage it to become more even-tempered. It’s very alert when it comes to their surroundings, and they can instantly detect danger or anything out of the normal. There are no complaints about training the Pit Bullmastiff because it’s a gentle giant that is very easy to train. The Pit Bullmastiff is ‘a gentle giant’. The Pit Bullmastiff has a short, straight, smooth, and fine coat that can be fawn, cream, brown, black, brown, red, brindle, white in color. It can also be a combination of these colors. Female Pit Bullmastiffs are smaller than the males, but they are both stocky and muscular dogs that have massive heads and athletic builds. Their almond shaped eyes may be color brown, blue, or hazel, and their noses can be brown or black. Their looks vary depending on their parentage, but their ears are commonly triangular and floppy. Their tails are also straight and long. Pit Bullmastiffs do not need a lot of maintenance because of their short and fine coat. You can get away with brushing your dog twice a week using a slicker brush or a rubber curry mitt. To prevent excessive shedding, brush them more in the spring or fall, which is their shedding season. You can give them a bath when needed but don’t shampoo them too often. This can make their skin more prone to dryness and irritation. You should also give their ears a gentle cleaning and trim their toenails once or twice a month. How Big is a Full Grown Pit Bullmastiff? Pit Bullmastiffs can grow up to 25 to 29 inches because of their large frames and strong bodies. All thanks to their large frame and strong bodies. They can weigh from 100 to 140 lbs. A female Pit Bullmastiff is a little bit lighter and shorter. Even if it’s lighter and shorter, it’s still bigger compared to other dogs. What is the Life Expectancy of the Pit Bullmastiff? APit Bullmastiff has a life expectancy of up to 12 years. However, it’s possible for this breed to have a lifespan longer than the normal life expectancy. Some health issues can reduce the dog’s lifespan, so keeping it healthy is a must. The Pit Bullmastiff can grow bored or anxious when don’t have enough exercise. The Pit Bullmastiff is great with children and other pets when trained and socialized properly. It’s an excellent guard dog that’s also sweet and cuddly. It’s very social, trustworthy, and brave, and it’s very serious when it comes to working. Pit Bullmastiffs are not afraid of hard work and would prefer to work instead of lounging around doing nothing. Pit Bullmastiffs are easy to train because they are very intelligent and obedient dogs. They are very eager to please. They may not bark much and can be extremely suspicious of strangers. Make it a point to introduce them to guests so that there will be no tensions or troubles. The Pit Bullmastiff is affectionate, obedient, and loyal. It constantly seeks attention. It has powerful guard dog instincts, which makes it an awesome protector of the family. With the right kind of household, this dog will get along with well with people even though it’s wary of strangers. The Pit Bullmastiff has very high intelligence and plenty of energy. It needs a family that it can interact or play with. It does not like to be left alone for long periods of time because it’s prone to separation anxiety. It likes to socialize with children, but it needs some supervision when playing with younger kids. Simple exercises like running, playing, and walking are very good for your Pit Bullmastiff’s physical health. They are excellent ways for you to bond with your dog. A healthy and nutritious diet is necessary for a Pit Bullmastiff to keep its good health and physical well-being. It needs about 4 ½ to 6 cups of food every day, and it should be fed high-quality dog food.Spread out the dog food in two or three meals. You can serve raw, premium, or homemade dog food to your Pit Bullmastiff. Raw dog food is a healthy alternative to other foods. There are no preservatives with this kind of dog food. Homemade dog foods are made from scratch using all your available ingredients at home. You can choose to serve them raw or cooked. You are also guaranteed that the food is prepared correctly and the risk of harmful bacteria in the food is reduced. You can also control what you want to include or exclude in their food. Premium dog foods make digestion for Pit Bullmastiffs easier. Because of their high quality, you can expect your dog to have vitamins, proteins, and antioxidants. Be careful of buying cheap brands that have low-quality standards, making them not suited for your dog. Regardless of what kind of dog food you choose to give your Pit Bullmastiff, make sure that it’s fresh and contains plenty of nutrients that will be good for your dog. How Much Exercise Does a Pit Bullmastiff Need? Pit Bullmastiffs need at least 60 to 90 minutes of activity every day to keep them healthy and happy. It’s used to working, and it’s recommended that you keep them occupied physically and mentally. If they don’t get enough exercise, they can grow bored or anxious and end up with negative habits, like chewing on things or unnecessary aggression. Although they love to be around their human family, they don’t have issues with separation anxiety. They will be perfectly fine, as long as they have enough physical exercise and mental stimulation. All dog breeds have health problems, and the Pit Bullmastiff is no exception. Most health conditions are hereditary, and most health problems show up when they reach old age. Other health problems are brought about by improper care and neglect. Obesity is caused by too much food or lack of exercise. Put Bullmastiffs are prone to accumulating excessive body fat. They can also suffer from hip dysplasia. This condition can reduce their level of activity and result to osteoarthritis. Hypothyroidism is also a health condition that Pit Bullmastiff can suffer from. This is where the dog’s thyroid gland does not produce enough hormones, leading to the loss of metabolic organ functions. 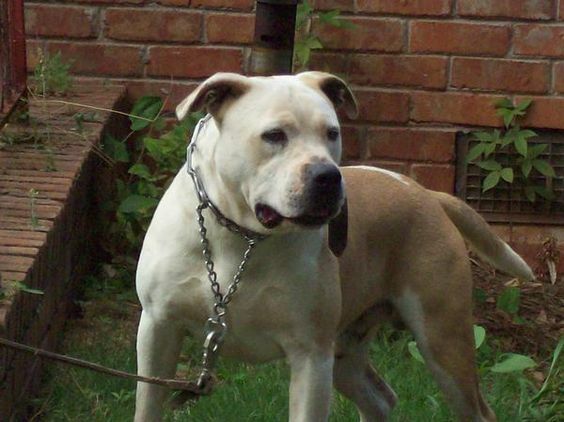 Tumors and cancers are also common to older Pit Bullmastiffs. They are prone to kidney failure and cardiovascular diseases. They can also suffer from skin diseases. There are over a hundred different types of skin conditions that can affect Pit Bullmastiffs. If you think that your Pit Bullmastiff has any of these conditions, a visit to the veterinarian is a must. The sooner the veterinarian can check your dog, the sooner they can be treated. The Pit Bullmastiff is a wonderful addition to any home or family. It may not immediately get along with other pets, but training and socialization will help mitigate that problem. It can be dangerous to small children because of its size. Young children can be easily knocked down when these dogs get very excited or happy. The important thing is that there’s always an adult on standby to supervise interactions between Pit Bullmastiffs and kids. Overall, this breed is a playful and gentle creature with lots of joy and fun to give!